Ahhh, ode de toilet is the scent of choice among canines everywhere. But, as an alternative to the real thing, are essential oils safe for dogs? Some but not all essential oils are safe for your pup. So it’s important to do you research before trying aromatherapy on your pup. Some of the oils we discuss in this article can help with flea infestations, arthritis and more. Don’t worry about purchasing them all though. Depending on your dog, you may find that some make more sense for your pup’s unique spa experience and needs. Fleas can be tricky to get rid of, but essential oils are great for keeping them away. There are a couple of different herbal solutions you can use to de-flea your dog. Two of the most common oils used are lavender and cedar oil for dogs. Dilute the oil in the water then apply 5-10 drops to the bandana or collar. Reapply the mixture to the collar/bandana once a week. Dilute 1 or 2 drops of Cedar or Lavender Oil with at least 1 tablespoon of olive oil and place it at the base of your dog’s tail. Combine all ingredients in the spray bottle. Mist your dog with the spray, but be careful not to get it in their eyes, ears and nose (avoid the face in general). To get the area around their neck and behind their ears take a cloth and dampen it with the mixture and wipe it on. You can also spray your pets bedding with this mixture. Skin is very sensitive on us humans and it’s also sensitive on dogs. So make sure you are using therapeutic grade essential oils on your dog’s skin (not aromatherapy grade or perfume quality). By using the wrong grade of oil you could be causing more harm than help. You’ll also want to make sure you dilute the essential oil with something like cold pressed olive oil. The appropriate ratio for large to medium pups is 1 drop essential oil to 10 drops base oil or for small dogs it’s one drop essential oil to 25 drops base oil. Diluting the oil is important because the strength of essential oils are based on the human body which would equal a 100 pound dog. Chamomile – This oil can soothe skin irritations, allergic reactions and burns for dogs. Helichrysum – Works well on skin conditions like eczema and irritations. It has anti-inflammatory and analgesic properties and provides pain relief. Lavender – Not sure what the problem is but you want to try to help your pooch? Rub some diluted lavender oil on the spot she is scratching. Niaouli – This oil has antihistamine and antibacterial properties to help your dog’s skin issues from allergies. Sweet Marjoram – This oil is great for healing bacterial skin infections and can also be used for wounds. It has strong antibacterial properties and has a calming agent as well as muscle relaxant. The number one talked about essential oil for dogs’ anxiety is lavender (it also works well for human anxiety). Lavender oil is very safe and gentle for dogs. It can be used to calm and soothe your dog by gently rubbing it into your dog’s ear fur and skin while giving it a nice massage. In addition, lavender oil for dogs has antibacterial and anti-itch agents. This is great if your dog has a skin irritation or needs first aid. Coconut oil has many benefits for dogs. Coconut oil aids in your dog’s digestion, improves their coat and can help prevent infection. Below is a more extensive list of the benefits of coconut oil for dogs. 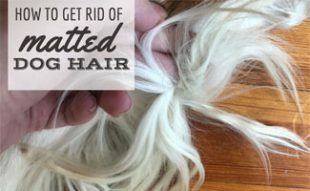 Coconut oil can be rubbed into your dog’s fur or ingested. But be careful, introducing coconut oil into your dog’s diet takes time and you must start with small amounts. Talk to your vet about adding coconut oil to your dog’s diet to see if it is okay and how much to give them. Neem oil is used to help dogs with ticks, intestinal parasites, mange mites and fleas. 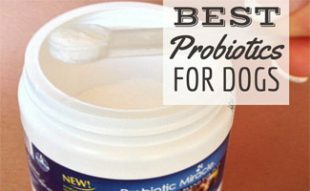 It can improve your dog’s Nimmune system, coat, teeth and more. To help with these things, many pet parents use neem shampoo on their dogs. However, if you decide to use pure neem oil you’ll want to know a few things. If your dog has an open sore you should dilute the neem oil 1:10 in a light carrier oil like grape seed oil or almond oil. Then massage the solution into the skin. Feel free to apply it multiple times a day. If your dog has eczema or demodectic mange dilute the neem oil 1:1. It’s important that whenever you apply something onto your dog’s coat that you monitor the skin. If there is any type of reaction wash it off immediately. Also, should you choose to put pure neem oil on your dog’s skin you should leave it on for no more than 48 hours. Recent reports state that tea tree oil may do more harm than good for your dog. If your veterinarian recommends tea tree oil proceed with caution and follow instructions precisely. However, if you feel uncomfortable with administering it to your dog you can always ask your vet for another course of treatment. Should you go forward with the treatment you’ll want to know that tea tree oil should never be given to your dog orally and it should always be diluted. You should never administer tea tree oil without the consent of your vet. There are many benefits to aromatherapy for dogs. Not only will many of the scents calm and soothe your pet, but it’s also a great bonding time for the two of you. Check out this video to see how this woman uses aromatherapy on her dog. Want more pampering for your pup? Learn more about the benefits of dog massages to help with anxiety. What’s your dog’s favorite essential oil? 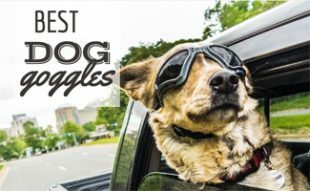 Best Dog Goggles: Do Dogs Need Glasses? How many times should I use the spray bottle mixed with the essential oils to treat fleas? Once a week? Can you use diluted lavendar oil on a 6 week old puppy that has fleas? I would recommend giving your vet a call and asking first. Doterra essential oil is steam distilled and therefore is ensured to be 100% pure. Their oil is tested several times and quality reports are available on each lot. Essential oils are not all created equally so choose wisely. Good luck. There is no wrong grade of essential oil because there are no grades at all! There’re only pure and high-quality essential oils or low-quality oils and synthetic fragrances! My grandmother really loves her dog and I think she would love to know that essential oils can be great for dogs too. It is cool that coconut oil can help a dogs skin with eczema. I wonder if there is a doggy spa she can take her dog to so it can get coconut oil treatments. 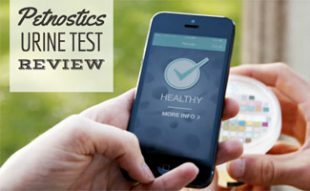 does anybody have a good recommendation of a reputable online store or a brand that sells essential oils? i tried N essential, based in Australia good products but they wanted to charge me 45.00 in shipping. Sergio I use Young Living Essential Oils because they have many farms that grow the plants. They extract the oils and monitor the way they are made. They are also one of the top companies. Young Living oils. They have pet line also. When using the essential oils for dogs allergies do you use it topically or orally? There aren’t any instructions on how it is to be used. You place it on your dog’s skin. This post has been immensely helpful. 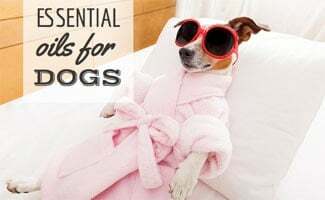 I have also found that Eucalyptus, citronella and peppermint oil (not Tea Tree) can be a great combination for dogs with dry bacterial affected skin or hot spots. I used 100 pure Aloe Vera gel as the base (1 cup) and added 5 drops of each essential oil listed above, (mix well and use gloves) then applied to the affected areas only. Massage in really well. Then I left it on for three days, followed by using your shampoo formula to give him bath and it cleared up his sore spots while removing the dry dander. I am going to keep using the Aloe between baths since it doesn’t make a mess on carpet or furniture like other oily moisturizers. Our dog is a 98 lb. golden retriever. Thank you for this post! I have spent hours reading through pins for flea treatments and many of them just weren’t helpful. The pins often contradict each other or were not practical. We just rescued our 4th dog and he has fleas. Since we are sure that his immune system is weak at the moment, we don’t want to use harsh chemicals on him. This pin of yours has lots of good information that will help our dogs.